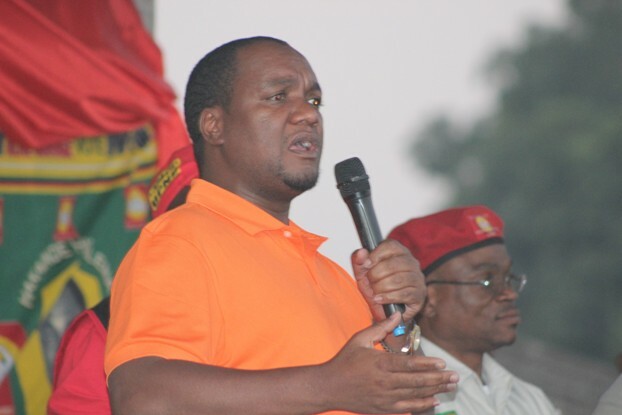 Lusaka mayor Miles Sampa has refused to pay a bill of K700 after filling his stomach at Roan and Sable restaurant. The Lusaka mayor only realised that service has become poor at the restaurant After finishing the food and wine and upon being handed the bill. 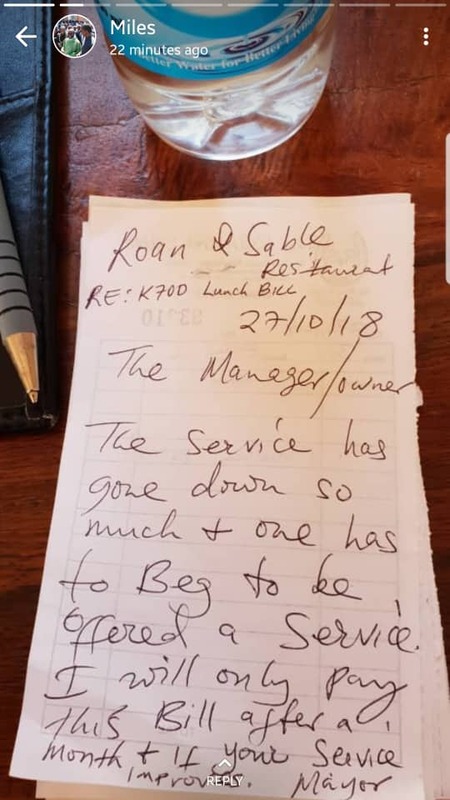 Instead of just paying, he decided to write a memo to the manager giving conditions that he will only pay the bill after a month and if the service at the restaurant improves. So now if you are not happy with the service in a restaurant, eat the food then walk out??? Last week, one senior PF member and copper thief verbally abused hotel stuff on the Copperbelt When his credit card failed to work at a speed point.